Experience Maine's scenic mountain views on horseback. Deepwood Farm is the home of DiAnne and Wyatt Ward and a full service lesson, training, and equine boarding facility specializing in dressage. 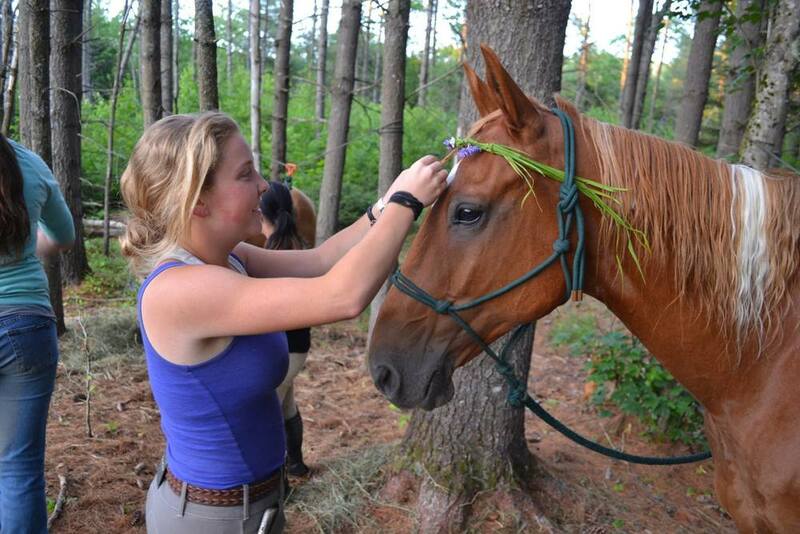 Located amidst the most scenic views in the White Mountains of Maine, just outside of Bethel, our passion for horses has us both in the ring and on the trail to experience the most that the great outdoors of Maine has to offer. Deepwood Farm has been in operation since 1990, offering quality riding lessons, trail rides, and summer camps for equine lovers. We also board horses giving them gentle care, warmth and love. DiAnne teaches youth and adult riding lessons ranging from beginner to advanced. While DiAnne specializes in dressage, the main focus at Deepwood Farm is teaching the art of horsemanship. No matter your riding level or discipline, we welcome you to join us in the ring or on the hundreds of miles of trails that we have in our backyard. Deepwood Farm is the proud home of The Gould Academy Equestrian Team. The fall and spring Gould equestrian programs offer an opportunity for high school students to improve their riding skills while learning about grooming, tacking, stable safety, and care for their horses. Their skills are put to the test at two local dressage shows during each term where they experience strong results and tremendous growth throughout the season. Our Summer Camp program has many opportunities for young horse lovers who want to find themselves surrounded by horses and horse people. It’s a learning experience that will be treasured for years. We offer individual rides for up to 6 people. Standard trail rides are one hour and take you through the foothills of the White Mountains, over streams and through a working apple orchard. Our focus is on dressage, but we understand and emphasize the fundamentals of overall horsemanship. We take show ring etiquette and make it practical on the trail as well as in the ring.